Dubai: NDIGITEC – the leading UAE-based innovative, media, creative production company, has announced a strategic partnership with Direct Influence Company – one of the top digital media solutions company based in Saudi Arabia focusing on customized solutions in Influencer Marketing, Social Media Enhancement and Brand Consultation. As part of the strategic alliance, NDIGITEC will promote Direct Influence solutions across the UAE while Direct Influence will promote NDIGITECsolutions – mainly its 360 film and photography, CGI, AR and VR content as well as brand concepts and design across Saudi Arabia. Through this allianceaimed at optimizing themarket leadership of both companies and improvingtheir efficiencies, NDIGITEC and Direct Influence will share resources and strengthen their positions as leading developers of influencer marketing, social media enhancement, campaign management, brand experiences as well as brand concepts, creative designs and digital printing solutions. The partnership is a major step forward in the growth journey of NDIGITEC, which offers the entire value chain of prepress, premedia, digital printing, fabrication and online printing solutions for customers in over 25 countries. NDIGITEC has production facilities in Dubai, Riyadh and Yerevan. 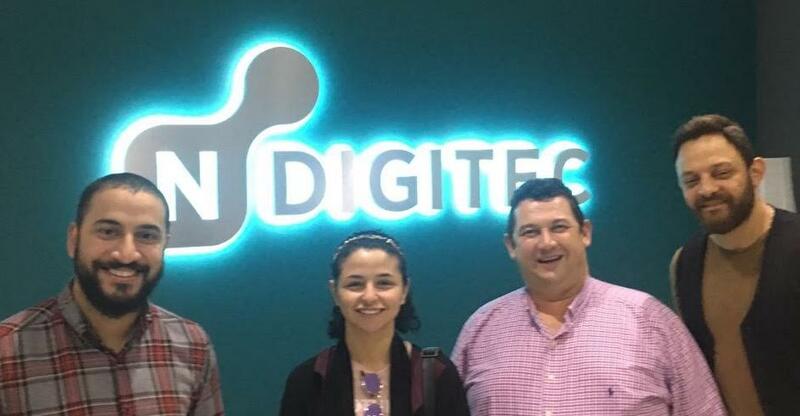 Adwa Aldakheel, CEO of Direct Influence, said: “Direct Influence will be promoting NDIGITEC solutions to brand owners and businesses in Saudi Arabia as we believe that NDIGITEC’s innovative brand experience and content will complement our service offerings perfectly in the UAE”. Direct Influence Company [DIC], based in Saudi Arabia, is a digital solutions company that focuses on Influencer Marketing, Campaign Management, Social Media Enhancement, and Brand Consultation via customizedsolutions that fits its clients’ needsuniquely.Direct Influence is a revolutionary marketing agency that partners with passionate influencers as a means of attracting a wide, targeted customer base and reach maximum exposure for brands. The DIC is comprised of a group of social influencers aiming to leave a positive impact by creating and promoting specialized events.